We would like to invite everyone to the North Alabama Homeschool Expo on June 16, 2018 from 9AM to 4Pm. 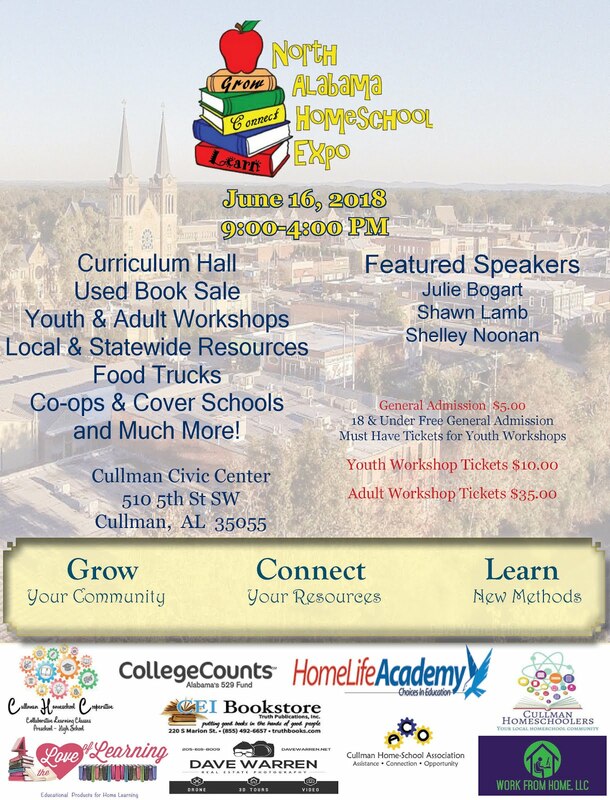 It is at the Cullman Civic Center. Tickets are on sale for those who pre-register. The price will increase at the door.